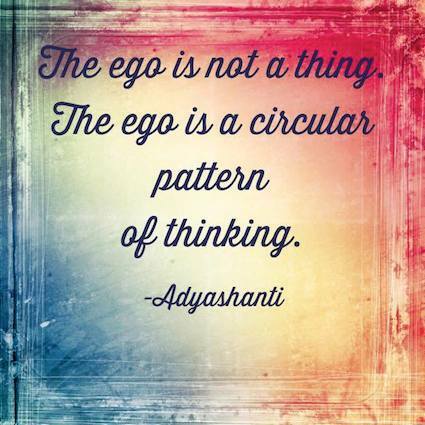 BOUNDARIES ARE BEAUTIFUL | MY EGO :: THE OTHER VOICE. MY SHADOW COMPANION IN THE DARK. 30 Jan MY EGO :: THE OTHER VOICE. MY SHADOW COMPANION IN THE DARK.
. . . even the enlightened person . . . is never more than his own limited ego before the One who dwells within him, whose form has no knowable boundaries, who encompasses him on all sides, fathomless as the abysms of the earth and vast as the sky. In the last year I have had the amazing opportunity to share connection with hundreds of people that have contacted me seeking more understanding of who they really are. The NUMBER ONE theme that arises is the concept of MENTAL HEALTH & the Ego / Other Voice within that feeds on FEAR. I am compiling this blog so that ALL my have access to these life changing INSIGHTS. Some of the words below are excerpts from REAL conversations I have had with some amazing people. WE ARE ALL EVOLVING ON TIME WITH EACH OTHER. 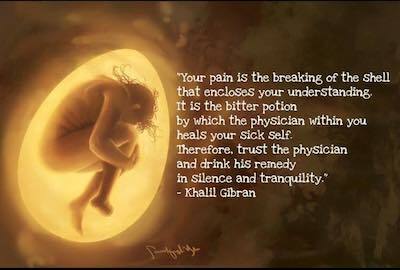 TRUTH OF WHO YOU REALLY ARE UNDER ALL YOUR PAIN. From my understanding, the way the EARTH WORLD is at this time is part of a DIVINE UNIVERSAL PLAN. ALL IS HAPPENING ACCORDING TO DIVINE UNIVERSAL LAW. NO MILLISECOND IS OUT OF PLACE. THROUGH OUTER SPACE, AND CHOOSE TO LEARN TO FOCUS ON OTHER THINGS THAN JUST THE GARBAGE AROUND US, TRUE UNIVERSAL WONDER IS REVEALED. THE WHOLE PURPOSE OF OUR INCARNATION ON THIS PLANET EARTH IS TO WAKE UP TO THE REALIZATION THAT WE ARE ONE WITH EVERY LIVING, FEELING BEING ON THIS PLANET. UNIVERSAL ONENESS IS REVEALED TO YOU IN YOUR PRACTICES OF SELF INQUIRY & SELF APPRECIATION. 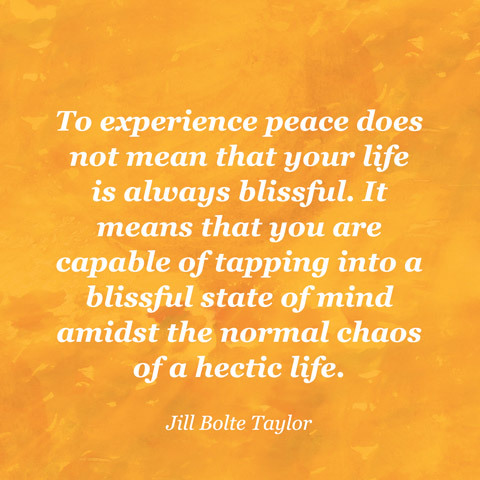 UNIVERSAL ONENESS IS REVEALED WHEN WE TAKE THE TIME TO OBSERVE OUR WORLD RATHER THAN JUST REACTING TO THINGS THAT “JUST SEEM TO KEEP HAPPENING” AROUND US. TRUST THAT THERE IS INFINITE MAGICK AROUND US. JUST AS THERE IS INFINITE MAGICK IN US. ARE ALL POWERFUL PLACES FROM WHERE HEALING CAN BEGIN. BEING ROCK BOTTOM IS RICH GROUNDS FOR CREATION. COMPLAINING, BLAMING, JUDGMENT, WORRY… IS CONSUMING THE COLLECTIVE MIND. OUR WHOLE BEING FEELS HEAVY WITH THESE DENSE VIBRATIONS. BUT THERE IS SO MUCH MORE THAT EXISTS. WHAT ELSE DO YOU SEE? 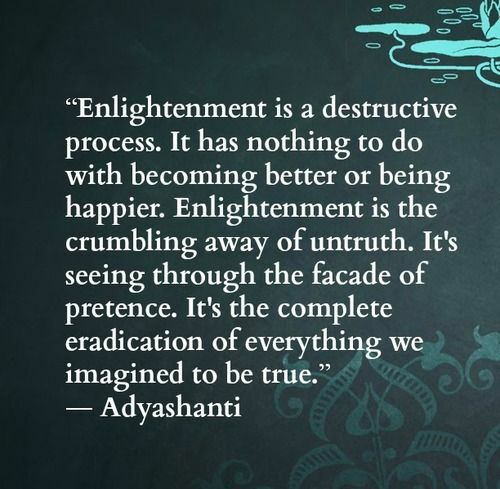 IT IS A DAILY LIVING PRACTICE TO CHOOSE TO SEE & CELEBRATE THE LIGHT IN THIS WORLD. IT IS A PIONEERING ACT. WE MUST WILL OURSELVES TO SEE THE GOODNESS IN THIS LIFE. YOU MAY BEGIN TO SEE YOUR SPIRITUAL CONNECTION TO ALL. THAT IS YOUR CHOICE THOUGH. EVERY PLANT / ANIMAL / MINERAL ON EARTH. WHAT REALLY NEEDS TO HAPPEN HERE? You need to learn to think for yourself. AS THE CONSCIOUS BEING INSIDE OF YOUR BODY DESIRES TO THINK & FEEL. WHEN WE HAVE HAD NO ONE TO GUIDE US OR MENTOR US OR SHOW US THERE IS PROFOUND BEAUTY ALL AROUND US, ABUNDANT AND OVERFLOWING, HOW CAN WE POSSIBLY BELIEVE THIS? OR PARTICIPATE IN IT? YOU MUST BECOME THE ONE TO MENTOR YOUR OWN HEART AND LIFE. SELF MENTORING & SELF CARE EXPLORATION IS HOW I HAVE CHANGED MY WHOLE LIFE. I HAVE BEEN SUICIDAL AND SELF HARMING BEFORE I WAS A TEENAGER. THIS WAS LEARNED PSYCHOLOGICAL BEHAVIOR. MUCH OF WHAT WE THINK/SAY/DO IS PROGRAMMED IN OUR HUMAN BRAIN, BUT THE SPIRIT KNOWS BETTER. SHE MAY INDEED BECOME THE CO-CREATOR OF HER WHOLE LIFE. IF YOU WANT TO CHANGE YOUR MIND YOU HAVE TO LEARN NEW PERSPECTIVES. 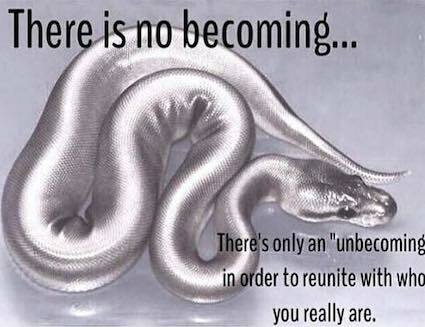 IF YOU WANT TO ALTER YOUR WAY OF LIVING / THINKING / BEING YOU HAVE TO UNDERSTAND WHO AND WHAT YOU ARE BY NATURE. THE NATURE OF THE UNIVERSE IS EXPANSION & EVOLUTION. IF YOU ARE STAGNANT IN YOUR HUMAN LIFE YOU WILL FEEL LIKE YOU ARE FALLING APART. THE SPIRIT REQUIRES CONSISTENT GROWTH & THE HUMAN BODY IS YOUR VEHICLE FOR YOUR SPIRIT. AS IF IT IS THE MOST PRECIOUS POSSESSION YOU OWN. YOU HAVE IN LIFE IS WITH YOUR OWN SELF & BODY. … please consider choosing to learn to teach yourself how to love yourself. YOUR BIGGEST RESPONSIBILITY AS A HUMAN BEING ALIVE ON THE PLANET EARTH IS TO CHOOSE TO LEARN AND UNDERSTAND WHAT YOU ARE AND WHAT IS GOING ON INSIDE OF YOU. YOU ARE A POWERFUL ORGANIC BIOLOGICAL MACHINE CAPABLE OF SO MUCH. WHEN YOU LEARN TO RAISE THE VIBRATION OF YOUR HUMAN BODY & CHOOSE TO ENGAGE WITH YOUR OWN PERSONAL EVOLUTION, THE SPIRIT WITHIN YOU WILL AWAKEN AND GUIDE YOU THROUGH THIS LIFE WITH EASE. WHEN YOU TAKE CARE OF YOUR BODY YOUR BRAIN FUNCTIONS BETTER. WHEN YOUR BRAIN FUNCTIONS BETTER YOU CAN MAKE BETTER DECISIONS. WHEN YOU MAKE BETTER DECISIONS, MIRACULOUS, SYNCHRONISTIC EVENTS START HAPPENING. THIS IS THE TIME OF HUMAN HISTORY WHERE WE TAKE OUR BODIES AND OUR BRAINS BACK AND LEARN TO DRIVE THE HUMAN BODY VEHICLE IN THE DIRECTION OF OUR OWN TRUTH & LOVE. YOU ARE NOT YOUR BRAIN. YOU ARE NOT YOUR BODY. YOU ARE NOT THE THINGS THAT HAVE HAPPENED TO YOU. YOU ARE SO MUCH MORE AND THE ONLY WAY TO DISCOVER WHO AND WHAT YOU REALLY ARE IS TO GET REAL WITH YOURSELF AND LEARN TO LOVE YOURSELF. CLICK HERE TO ACCESS MORE POWERFUL PEMA CHODRON TEACHINGS. “Many spiritual seekers get “stuck” in emptiness, in the absolute, in transcendence. They cling to bliss, or peace, or indifference. When the self-centered motivation for living disappears, many seekers become indifferent. They see the perfection of all existence and find no reason for doing anything, including caring for themselves or others. I call this “taking a false refuge.” It is a very subtle egoic trap; it’s a fixation in the absolute and all unconscious form of attachment that masquerades as liberation. It can be very difficult to wake someone up from this deceptive fixation because they literally have no motivation to let go of it. Stuck in a form of divine indifference, such people believe they have reached the top of the mountain when actually they are hiding out halfway up its slope. WHAT HAVE I ACTIVELY TRIED SPECIFICALLY IN ORDER TO LEARN A NEW WAY OF THINKING? HOW I ACTIVELY PRACTICED TO SEE LIFE IN A NEW WAY? You must REALLY CHOOSE TO learn to refine your thinking process. Understand you can train your mind to slow down, but you have to take the time to be silent / still / quiet and PRACTICE self inquiry / self acknowledgement DAILY. WE CAN ALL LEARN TO WITNESS OUR MIND WITH OUT JUDGMENT. LEARNING MORE ABOUT YOUR MENTAL & EMOTIONAL HEALTH & HOW TO NURTURE YOURSELF IS A VERY VERY IMPORTANT PART OF THE SELF CARE PUZZLE. SELF KNOWLEDGE IS FREE. SELF CARE PRACTICE IS YOUR OWN UNIQUE CULTIVATION OF ACTIVE CURIOSITY TOWARDS YOURSELF! YOU CAN CHOOSE TO LEARN MORE AND NURTURE YOURSELF MORE EVERY DAY. YOU NO LONGER NEED TO BE BOUND BY THE VOICE IN YOUR HEAD. IT IS TIME TO LEARN TO TUNE INTO YOUR HEART. ?CLICK HERE TO ACCESS MY RADICAL SELF CARE RESOURCES! THERE ARE INFINITE WAYS TO SHOW YOURSELF LOVE!